Love Turkey and want to make it your home? Then you will need to apply for a Residence Permit. 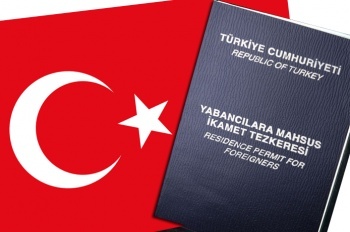 These are Turkey Homes top tips and guide to the residence permit application procedure, and our local offices around Turkey can assist you with the application process. 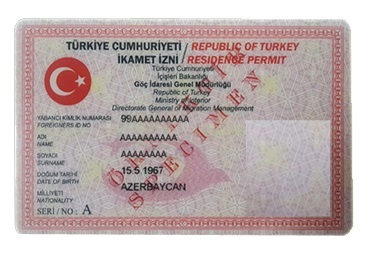 Long Term Residence Permit is suitable for anyone who has eight continuous years on a Turkish residence permit with no longer than 120 days in any 12-month period outside the country. Student Resident Permit is available for up to 12 months and will only be issued with a letter of consent given by parent or legal guardian. Firstly, visit the website https://e-ikamet.goc.gov.tr to find out what sort of extension will be applicable to you. You can use the ‘'Application for Extension’' option and simply post the required application forms or visit your local Ikamet office if you have on in your area. An existing, valid tourist or residence visa/permit. Your passport valid for the duration of the permit applied for plus 60 days over the said duration, with photocopies in colour of the latest entry visa page, and the main passport details page. At least 6 (Best to obtain more) colour passport size photographs conforming to Biometric sizing. Mandatory health insurance, for each applicant under 65 years of age. 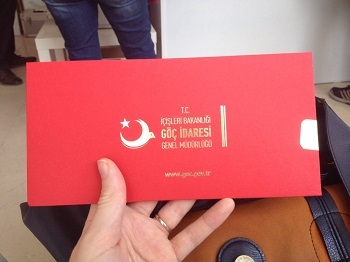 Proof of address in Turkey, available from your local government Nufus office. If applying for a Family Permit, you will need a marriage licence or document, something to show sufficient and sustainable resources for the duration of the permit applied for and valid health insurance covering all family members under 65 years of age. Visit the E-Ikamet website https://e-ikamet.goc.gov.tr/ and fill in the online application form. Firstly, choose the ‘Application for Extension’ tab is you are renewing an existing permit or the ‘First Application’ for all other cases. Book an appointment with the nearest DGMM office and choose the type of permit you require. The red highlighted fields must be filled in but the black fields will also help speed up application. After completing the process, you will be shown a screen confirming your application and given an application reference number that must be kept safe. Click on the ‘'Residence Permit Application Document’' link and print it out to take with you to your appointment at the DGMM office. The application fees can be paid at the GOC/DGMM Offices or at a branch of HALKBANK or your local Tax Office (Vergi Dairesi). You will need your tax number and quote the tax reference number: 9069 when paying to ensure your payment is accepted and registered to an ''Ikamet card'' (or Ikamet tax) payment. British nationality is listed under United Kingdom. Granting Country is your home country. Granting Authority is the name of the department of your government that issues passports. E.g. HM Passport Office UK. The photo that you upload must be a standard issue passport photo and conform to the Biometric profile. Print out the page confirming your application.